Here are pictures of some of the activities and events the Brothers have shared with each other. 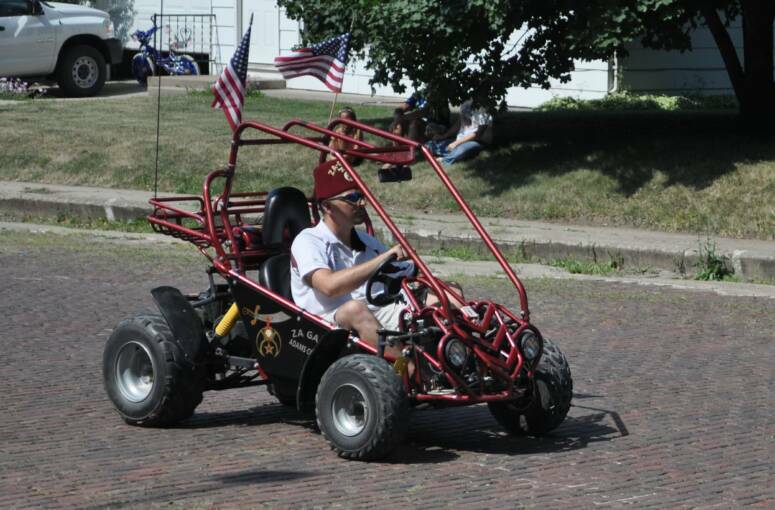 Masons from Taylor Lodge #156 participating in the Bedford Iowa 4th of July Parade. 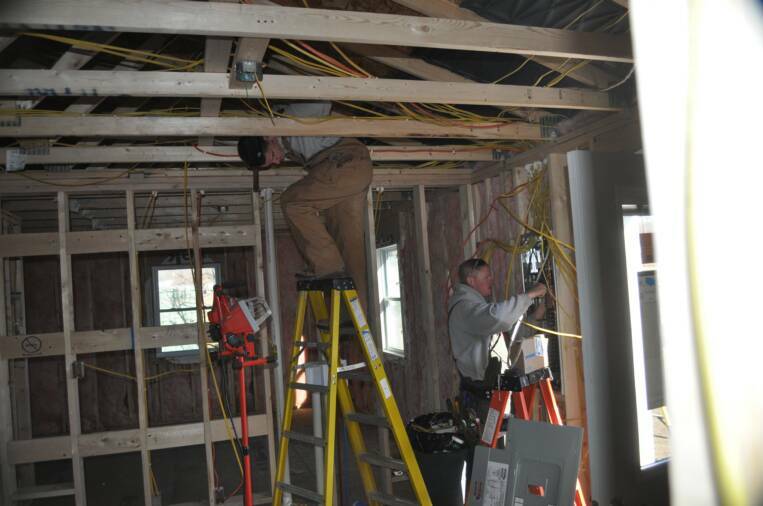 Five local Masons serve as an electrical crew on a mission project in Thurman Iowa. Milo Blake and Jeremiah Ambrose running wires and setting up the breaker panel. 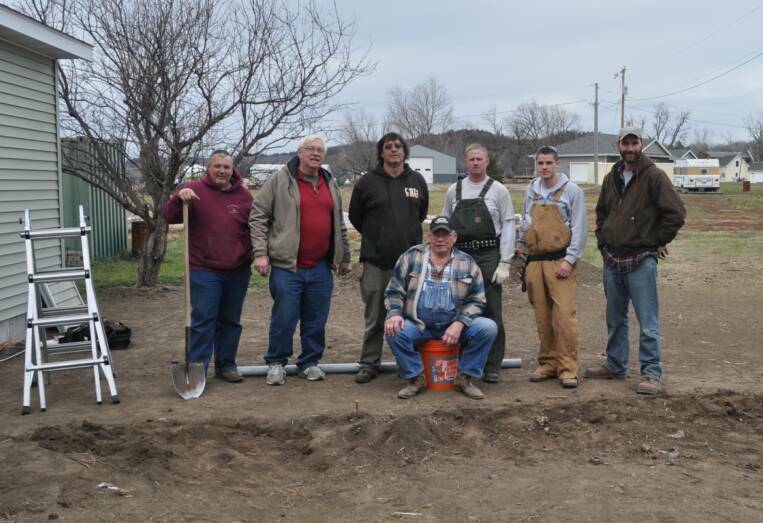 The entire crew of Mick Ware, Lonnie Weed, Gary Scroggie (seated), Jeremiah Ambrose and Milo Blake all from Taylor Lodge #156 in Bedford. They are standing with project coordinators, Roy Day, extreme left and Ryan Johnson, extreme right of the One Family One Purpose Mission, LaHarpe, Illinois. 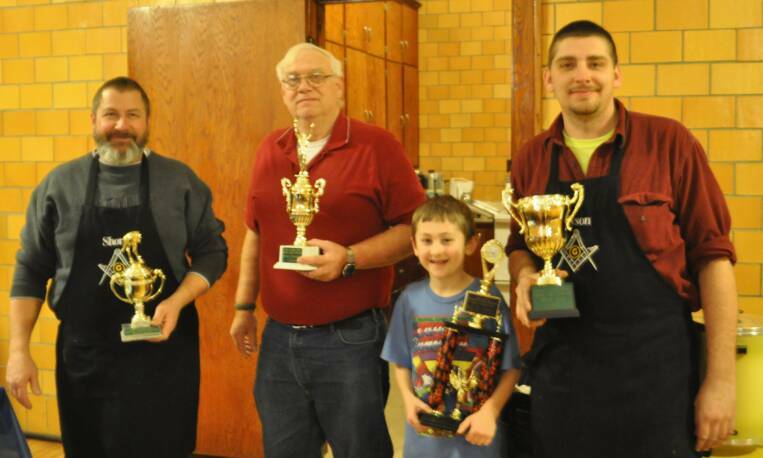 6TH Annual Chili Cook-Off Winners! Lots of wonderful Chili samples to choose from! Brother Andy Lauritsen offering a prize to a child. Brother Nick Wetzel in his "Vet"